I'm a supporter of the Kickstarter effort (Singularity & Co.) that brought this ebook into being and pleased to be.A Plunge Into Space is an okay book - it is lacking in structure and suspense for SciFi, but creative (especially for the time) in its initial premise. 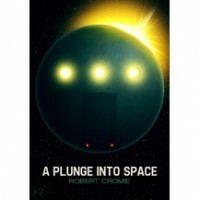 Cromie had a unique vision for how space travel would occur, as far as I can tell, and he put some thought into who should carry out the traveling.Despite that, however, it was a bit of a slog for a short work. Oddly, the most uninteresting bits are those that take place on Mars. The novel is redeemed somewhat, if the premise alone isn't enough to do so, by the ending. So stick with it.